Human trafficking is often dramatized in popular media — a young, pretty girl is violently kidnapped by a stranger and then locked in a room for the majority of her captivity. In reality, there are complex factors involved in the recruitment of victims, including manipulation, trickery, coercion, and threat. 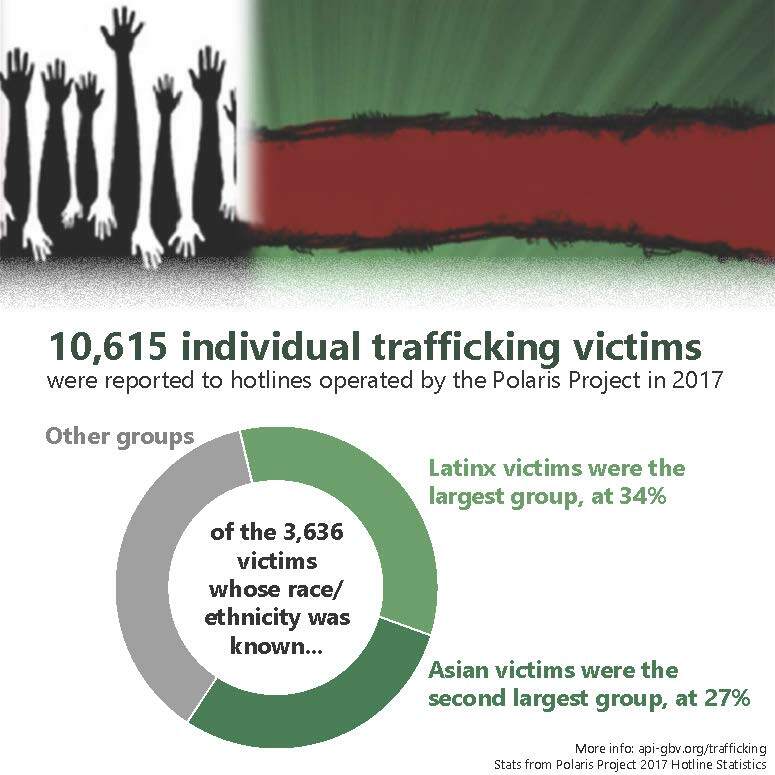 Victims can come from all walks of life, race, gender, socio-economic status, or age, but traffickers most frequently prey on those in poverty, who are fleeing familial or societal violence, who face discrimination, or who are otherwise vulnerable. 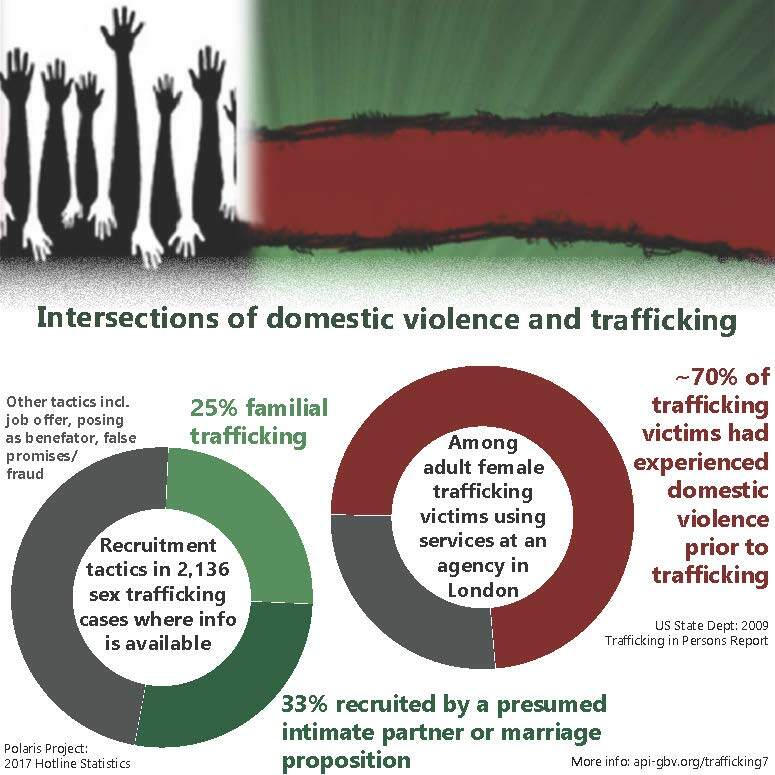 Traffickers are not always unknown assailants, but can be a family member, husband, or boyfriend; and victims face both push and pull factors that influence their ability to leave. 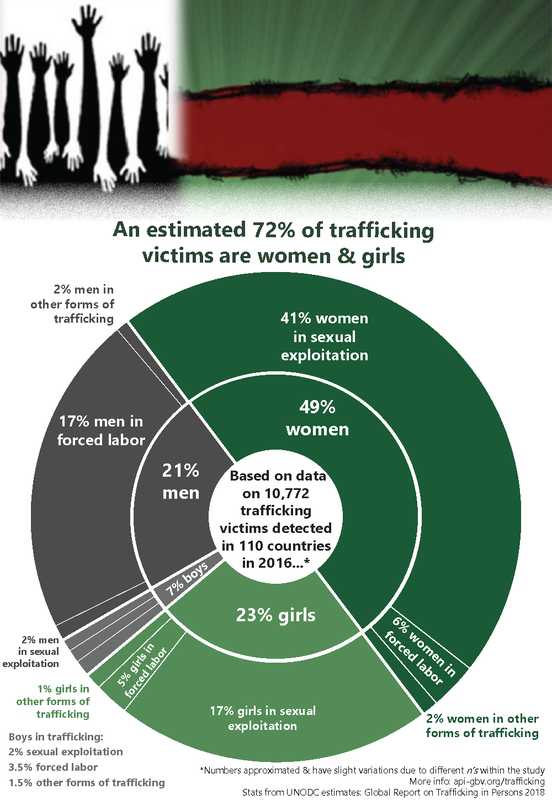 Download and share these infographics to help us break down the myths surrounding trafficking!